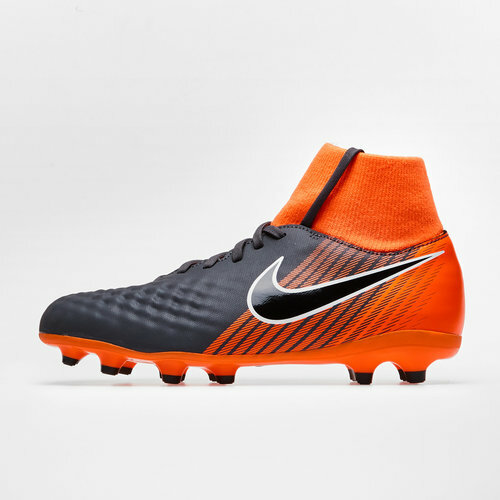 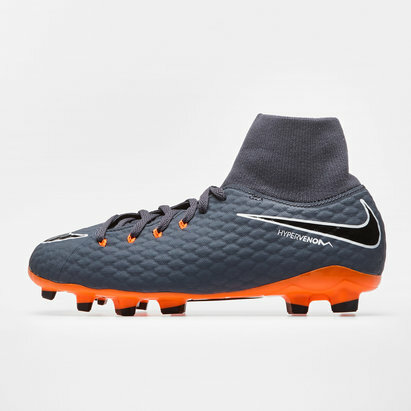 These boots designed for kids, will amplify playmaking ability and they'll pull the strings when wearing these Nike Magista Obra II Academy D-Fit Kids FG Football Boots in Dark Grey, Black, Total Orange and White. 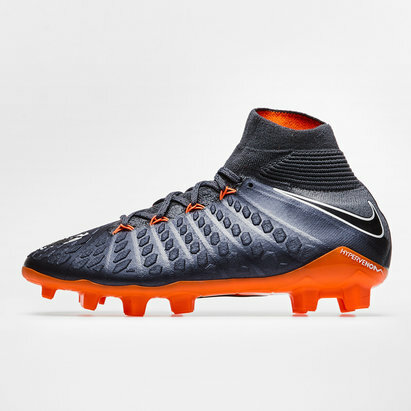 This boot as part of the Fast AF pack which is the first Nike collection to feature fly knit in every top end model. 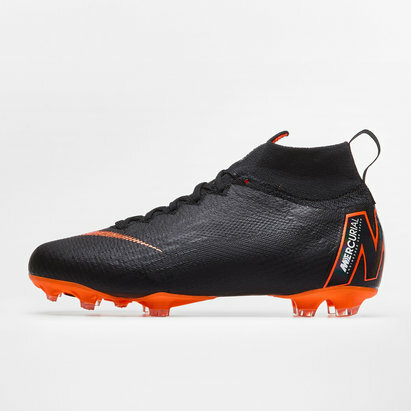 The colour theme of dark grey, black, total orange and white creates a great look which will have you looking good whether at high standard training sessions or the big games.